The Emirates Stadium (known as Ashburton Grove prior to sponsorship, and as Arsenal Stadium for UEFA competitions) is a football stadium in Holloway, London, England, and the home of Arsenal. With a capacity of 60,260 it is the fourth-largest football stadium in England after Wembley Stadium, Old Trafford and Tottenham Hotspur Stadium. 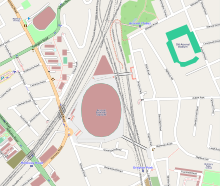 In 1997, Arsenal explored the possibility of relocating to a new stadium, having been denied planning permission by Islington Council to expand its home stadium, Highbury. After considering various options (including purchasing Wembley Stadium), the club bought an industrial and waste disposal estate in Ashburton Grove in 2000. A year later, they received the council's approval to build a stadium on the site; manager Arsène Wenger described this as the "biggest decision in Arsenal's history" since the board appointed Herbert Chapman. Relocation began in 2002, but financial difficulties delayed work until February 2004. Emirates was later announced as the main sponsor for the stadium. The entire stadium project was completed in 2006 at a cost of £390 million. The club's former stadium was redeveloped as Highbury Square, an apartment complex. The stadium has undergone a process of "Arsenalisation" since 2009 with the aim of restoring Arsenal's heritage and history. The stadium has hosted international fixtures and music concerts. 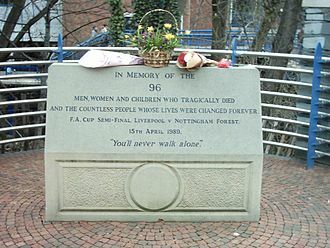 Spectator safety at football grounds was a major concern during the 1980s, following incidents of hooliganism, and disasters such as the Bradford City stadium fire and the Heysel Stadium disaster in 1985, and the Hillsborough disaster in 1989. 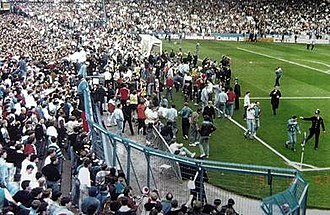 The Taylor Report into the Hillsborough tragedy was finalised in January 1990 and recommended the removal of terraces (standing areas) in favour of seating. Under the amended Football Spectators Act 1989, it became compulsory for first and second tier English clubs to have their stadia all-seated in time for the 1994–95 season. Arsenal, like many other clubs, experienced difficulty raising income for converted terraced areas. 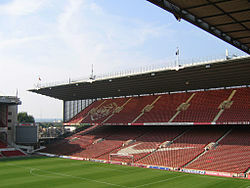 At the end of the 1990–91 season, the club introduced a bond scheme which offered supporters the right to purchase a season ticket at its renovated North Bank stand of Highbury. The board felt this was the only viable option after considering other proposals; they did not want to compromise on traditions nor curb manager George Graham's transfer dealings. At a price of between £1,000 to £1,500, the 150-year bond was criticised by supporters, who argued it potentially blocked the participation of those less well-off from supporting Arsenal. A campaign directed by the Independent Arsenal Supporters' Association brought relative success as only a third of all bonds were sold. The North Bank was the final stand to be refurbished. It opened in August 1993 at a cost of £20 million. The rework significantly reduced the stadium's capacity, from 57,000 at the beginning of the decade to under 40,000. High ticket prices to serve the club's existing debts and low attendance figures forced Arsenal to explore the possibility of building a larger stadium in 1997. The club wanted to attract an evergrowing fanbase and financially compete with the biggest clubs in England. By comparison, Manchester United enjoyed a rise in gate receipts; the club went from £43.9 million in 1994 to £87.9 million in 1997 because of Old Trafford's expansion. Arsenal's initial proposal to rebuild Highbury was met with disapproval from local residents, as it required the demolition of 25 neighbouring houses. It later became problematic once the East Stand of the stadium was granted Grade II listing in July 1997. After much consultation, the club abandoned its plan, deciding a capacity of 48,000 was not large enough. 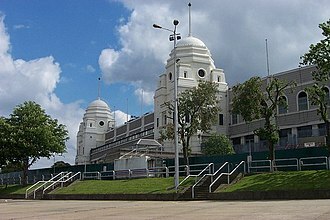 Arsenal then investigated the possibility of relocating to Wembley Stadium and in March 1998 made an official bid to purchase the ground. The Football Association (FA) and the English National Stadium Trust opposed Arsenal's offer, claiming it harmed England's bid for the 2006 FIFA World Cup, which FIFA itself denied. In April 1998, Arsenal withdrew its bid and Wembley was purchased by the English National Stadium Trust. The club however was given permission to host its UEFA Champions League home ties at Wembley for the 1998–99 and 1999–2000 seasons. Although Arsenal's time in the competition was brief, twice exiting the group stages, the club set its record home attendance (73,707 against Lens) and earned record gate income in the 1998–99 season, highlighting potential profitability. In November 1999, Arsenal examined the feasibility of building a new stadium in Ashburton Grove. Anthony Spencer, estate agent and club property adviser, recommended the area to director Danny Fiszman and vice-chairman David Dein having scoured over North London for potential areas. The land, 450 metres (490 yd) from Highbury was composed of a rubbish processing plant and industrial estate, 80% owned to varying levels by Islington Council, Railtrack and Sainsbury's. After passing the first significant milestone at Islington Council's planning committee, Arsenal submitted a planning application for a new-build 60,000 seater stadium in November 2000. This included a redevelopment project at Drayton Park, converting the existing ground Highbury to flats and building a new waste station in Lough Road. As part of the scheme, Arsenal intended to create 1,800 new jobs for the community and 2,300 new homes. 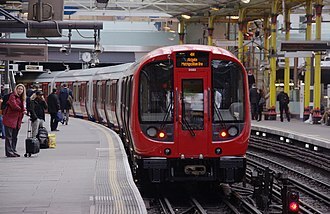 Improvements to three railway stations, Holloway Road, Drayton Park and Finsbury Park, were included to cope with the increased capacity requirements from matchday crowds. A board displaying the acquisition of the Ashburton Grove site for the stadium development. Islington Stadium Communities Alliance (ISCA) – an alliance of 16 groups representing local residents and businesses, was set up in January 2000 as a body against the redevelopment. Alison Carmichael, a spokeswoman for the group, said of the move, "It may look like Arsenal are doing great things for the area, but in its detail the plan is awful. We blame the council; the football club just wants to expand to make more money." Tom Lamb, an ISCA member, was concerned about as air pollution and growing traffic, adding "that is a consequence which most Arsenal fans would never see, because they are in Islington only for about thirty days a year." Seven months after the planning application was submitted, a poll showed that 75% of respondents (2,133 residents) were against the scheme. By October 2001, the club asserted that a poll of Islington residents found that 70% were in favour, and received the backing from the then Mayor of London, Ken Livingstone. The club launched a campaign to aid the project in the run up to Christmas and planted the slogan "Let Arsenal support Islington" on advertising hoardings and in the backdrop of manager Arsène Wenger's press conferences. Islington Council approved Arsenal's planning application on 10 December 2001, voting in favour of the Ashburton Grove development. The council also consented to the transfer of the existing waste recycling plant in Ashburton Grove to Lough Road. Livingstone approved of the plans a month later, and it was then motioned to then-Transport Secretary Stephen Byers, who initially delayed making a final decision. He had considered whether to refer the scheme to a public inquiry, but eventually decided not to. Planning permission was granted by Islington Council in May 2002, but local residents and ISCA launched a late challenge to the High Court, citing the plans were against the law. Duncan Ouseley dismissed the case in July 2002, paving the way for Arsenal to start work. The club succeeded in a further legal challenge bought by small firms in January 2005 as the High Court upheld a decision by then-Deputy Prime Minister John Prescott to grant a compulsory purchase order in support of the scheme. The stadium later became issue in the local elections in May 2006. The Metropolitan Police restricted supporters' coaches to being parked in the nearby Sobel Sports Centre rather than in the underground stadium car park, and restricted access to 14 streets on match days. These police restrictions were conditions of the stadiums' health and safety certificate which the stadium requires to operate and open. The road closures were passed at a council meeting in July 2005. Securing finance for the stadium project proved a challenge as Arsenal received no public subsidy from the government. Whereas Wenger claimed French clubs "pay nothing at all for their stadium, nothing at all for their maintenance," and "Bayern Munich paid one euro for their ground," Arsenal were required to buy the site outright in one of London's most expensive areas. The club therefore sought other ways of generating income, such as making a profit on player trading. Arsenal recouped over £50 million from transfers involving Nicolas Anelka to Real Madrid, and Marc Overmars and Emmanuel Petit to Barcelona. The transfer of Anelka partly funded the club's new training ground, in London Colney, which opened in October 1999. The club also agreed new sponsorship deals. In September 2000, Granada Media Group purchased a 5% stake in Arsenal for £47 million. As part of the acquisition, Granada became the premier media agent for Arsenal, handling advertising, sponsorship, merchandising, publishing and licensing agreements. The club's managing director Keith Edelman confirmed in a statement that the investment would be used directly to fund for the new stadium. The collapse of ITV Digital (part-owned by Granada) in April 2002 coincided with news that the company was tied in to pay £30 million once arrangements for the new stadium were finalised. In September 2002, Arsenal formulated plans to reduce its players' wage bill after making a pre-tax loss of £22.3 million for the 2001–02 financial year. The club appointed N M Rothschild & Sons to examine its financial situation and advise whether it was feasible for construction to press ahead at the end of March 2003. Although Arsenal secured a £260 million loan from a group of banks led by the Royal Bank of Scotland, the club suspended work on Ashburton Grove in April 2003, saying, "We have experienced a number of delays in arrangements for our new stadium project in recent months across a range of issues. The impact of these delays is that we will now be unable to deliver a stadium opening for the start of the 2005–06 season." The cost of building the stadium, forecasted at £400 million, had risen by £100 million during that period. Throughout the summer of 2003, Arsenal gave fans the opportunity to register their interest in a relaunched bond scheme. The club planned to issue 3,000 bonds for between £3,500 and £5,000 each for a season ticket at Highbury, then at Ashburton Grove. Supporters reacted negatively to the news; AISA chairman Steven Powell said in a statement: "We are disappointed that the club has not consulted supporters before announcing a new bond scheme." Though Arsenal never stated how many bonds were sold, they did raise several million pounds through the scheme. The club also extended its contract with sportswear provider Nike, in a deal worth £55 million over seven years. Nike paid a minimum of £1 million each year as a royalty payment, contingent on sales. Funding for the stadium was secured in February 2004. 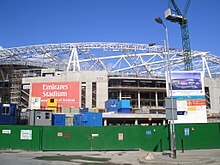 Later in the year Emirates bought naming rights for the stadium, in a 15-year deal estimated at £100 million that also included a 7-year shirt sponsorship, starting in the 2006–07 season. The stadium name is colloquially shortened from "Emirates Stadium" to "The Emirates", although some supporters continue to use the former name "Ashburton Grove" or even "The Grove", particularly those who object to the concept of corporate sponsorship of stadium names. Due to UEFA regulations on stadium sponsors, the ground is referred to as Arsenal Stadium for European matches, which was the official name of Highbury. Emirates and Arsenal agreed to a new deal worth £150 million in November 2012, and shirt-sponsorship was extended to five years while naming rights were extended to 2028. Actual construction of the stadium began once Arsenal secured funding. The club appointed Sir Robert McAlpine in January 2002 to carry out building work and the stadium was designed by Populous, who were the architects for Stadium Australia and the redevelopment of Ascot Racecourse. Construction consultants Arcadis and engineering firm Buro Happold were also involved in the process. The first phase of demolition was completed in March 2004, and two months later, stand piling on the West, East and North stands had been concluded. Two bridges over the Northern City railway line connecting the stadium to Drayton Park were also built; these were completed in August 2004. The stadium topped out in August 2005 and external glazing, power and water tank installation was completed by December 2005. The first seat in the new stadium was ceremonially installed on 13 March 2006 by Arsenal midfielder Abou Diaby. DD GrassMaster was selected as the pitch installer and Hewitt Sportsturf was contracted to design and construct the playing field. Floodlights were successfully tested for the first time on 25 June 2006, and a day later, the goalposts were erected. 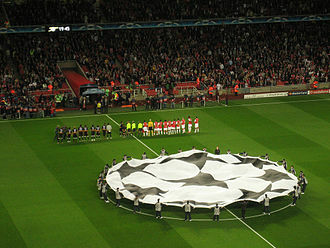 In order to obtain the licences needed to open, the Emirates Stadium hosted three non-full capacity events. 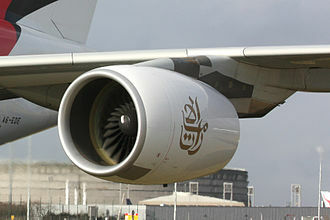 The first "ramp-up" event was a shareholder open day on 18 July 2006, the second an open training session for 20,000 selected club members held two days later. The third event was Dennis Bergkamp's testimonial match against Ajax on 22 July 2006. The Emirates Stadium was officially opened by Prince Philip, Duke of Edinburgh on 26 October 2006; his wife Queen Elizabeth II had suffered a back injury and was unable to carry out her duty. Prince Philip quipped to the crowd, "Well, you may not have my wife, but you've got the second-most experienced plaque unveiler in the world." The royal visit echoed the attendance of the Queen's uncle, the Prince of Wales (later King Edward VIII) at the official opening of Highbury's West Stand in 1932. As a result of the change of plan, the Queen extended to the club the honour of inviting the chairman, manager and first team to join her for afternoon tea at Buckingham Palace. Held on 15 February 2007, the engagement marked the first time a football club had been invited to the palace for such an event. Interest on the £260 million debt was set at a commercial fixed rate over a 14-year period. To refinance the cost, Arsenal planned to convert the money into a 30-year bond financed by banks. The proposed bond issue went ahead in July 2006. Arsenal issued £210 million worth of 13.5-year bonds with a spread of 52 basis points over government bonds and £50 million of 7.1-year bonds with a spread of 22 basis points over LIBOR. It was the first publicly marketed, asset-backed bond issue by a European football club. The effective interest rate on these bonds is 5.14% and 5.97%, respectively, and are due to be paid back over a 25-year period; the move to bonds has reduced the club's annual debt service cost to approximately £20 million a year. In September 2010, Arsenal announced that the Highbury Square development – one of the main sources of income to reduce the stadium debt – was now debt free and making revenue. When Arsenal moved to the Emirates Stadium, the club prioritised repaying the loans over strengthening the playing squad. Arsenal's self-sustaining model relied heavily on qualifying for the UEFA Champions League; as Wenger recalled in 2016: "We had to be three years in the Champions League out of five and have an average of 54,000 people, and we didn’t know we would be capable of that." The club sold several experienced players throughout the late 2000s and early 2010s and raised ticket prices, upsetting supporters who have called for change. Wenger took umbrage over criticism and revealed the bank loans were contingent on his commitment to the club: "The banks wanted the technical consistency to guarantee that we have a chance to pay [them] back. I did commit and I stayed and under very difficult circumstances. So for me to come back and on top of that [critics] reproach me for not having won the championship during that period it is a bit overboard." 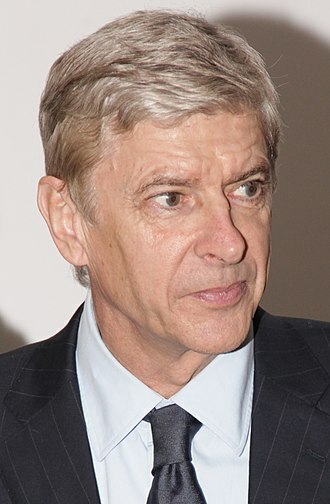 Wenger later described the stadium move as the toughest period of his life because of the restricted finances in place. One of the murals installed on the stadium as a result of the Arsenalisation project. In August 2009, Arsenal began a programme of "Arsenalisation" of the Emirates Stadium after listening to feedback from supporters in a forum. The intention was to turn the stadium into a "visible stronghold of all things Arsenal through a variety of artistic and creative means", led by Arsenal chief executive Ivan Gazidis. Around the lower concourse of the stadium are additional murals depicting 12 "greatest moments" in Arsenal history, voted for by a poll on the club's website. Prior to the start of the 2010–11 season, Arsenal renamed the coloured seating quadrants of the ground as the East Stand, West Stand, North Bank, and Clock End. Akin to Highbury, this involved the installation of a clock above the newly renamed Clock End which was unveiled in a league match against Blackpool. In April 2011, Arsenal renamed two bridges near the stadium in honour of club directors Ken Friar and Danny Fiszman. As part of the club's 125 anniversary celebrations in December 2011, Arsenal unveiled three statues of former captain Tony Adams, record goalscorer Thierry Henry and manager Herbert Chapman outside of the stadium. 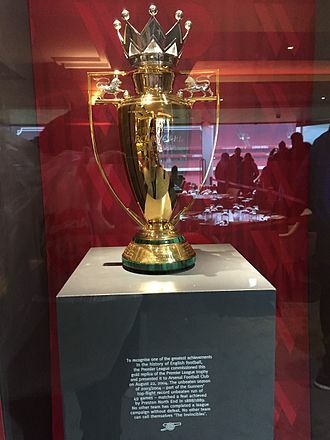 Before Arsenal's match against Sunderland in February 2014, the club unveiled a statue of former striker Dennis Bergkamp, outside the west stand of Emirates Stadium. Banners and flags, often designed by supporters group REDaction, are hung around the ground. A large "49" flag, representing the record run of 49 unbeaten league games, is passed around the lower tier before kick off. Described as "beautiful" and "intimidating" by architect Christopher Lee of Populous, the Emirates Stadium is a four-tiered bowl with translucent polycarbonate roofing over the stands, but not over the pitch. The underside is clad with metallic panels and the roof is supported by four triangular trusses, made of welded tubular steel. Two trusses span 200 metres (660 ft) in a north–south direction while a further two span an east–west direction. The trusses are supported by the stadium's vertical concrete cores, eight of which connected to them by steel tripods. They in turn each house four stairways, a passenger lift as well as service access. Façades are either glazed or woven between the cores which allows visitors on the podium to see inside the stadium. The glass and steel construction was devised by Populous to give an impression that the stadium sparkles in sunlight and glows in the night. The upper and lower parts of the stadium feature standard seating. The stadium has two levels below ground that house its support facilities such as commercial kitchens, changing rooms and press and education centres. The main middle tier, known as the "Club Level", is premium priced and also includes the director's box. There are 7,139 seats at this level, which are sold on licences lasting from one to four years. Immediately above the club tier there is a small circle consisting of 150 boxes of 10, 12 and 15 seats. The total number of spectators at this level is 2,222. 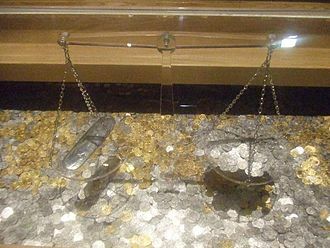 The high demand for tickets, as well as the relative wealth of their London fans, means revenue from premium seating and corporate boxes is nearly as high as the revenue from the entire stadium at Highbury. Cannons positioned outside the stadium. The upper tier is contoured to leave open space in the corners of the ground, and the roof is significantly canted inwards. Both of these features are meant to provide as much airflow and sunlight to the pitch as possible. Supporters in the upper tier on one side of the ground are unable to see supporters in the upper tier opposite. As part of a deal with Sony, the stadium was the first in the world to incorporate HDTV streaming. In the north-west and south-east corners of the stadium are two giant screens suspended from the roof. The pitch is 105 by 68 metres (115 by 74 yd) in size and the total grass area at Emirates is 113 by 76 metres (124 by 83 yd). Like Highbury, it runs north–south, with the players' tunnel and the dugouts on the west side of the pitch underneath the main TV camera. The away fans are found in the south-east corner of the lower tier. The away supporter configuration can be expanded from 1,500 seats to 4,500 seats behind the south goal in the lower tier, and a further 4,500 seats can be made available also in the upper tier, bringing the total to 9,000 supporters (the regulation 15% required for domestic cup competitions such as the FA Cup and EFL Cup). The Emirates Stadium pays tribute to Arsenal's former home, Highbury. The club's offices are officially called Highbury House, located north-east of Emirates Stadium, and house the bust of Herbert Chapman that used to reside at Highbury. Three other busts that used to reside at Highbury of Claude Ferrier (architect of Highbury's East stand), Denis Hill-Wood (former Arsenal chairman) and manager Arsène Wenger have also been moved to Emirates Stadium and are in display in the entrance of the Diamond Club. Additionally, the clock that gave its name to the old Clock End has been resited on the new clock end which features a newer, larger replica of the clock. The Arsenal club museum, which was formerly held in the North Bank Stand, opened in October 2006 and is located to the north of the stadium, within the Northern Triangle building. It houses the marble statues that were once held in the marble halls of Highbury. As of 2008, Arsenal's season ticket waiting list stood at 40,000 people. There has also been discussion on the implementation of safe standing. Aside from sporting uses, the Emirates Stadium operates as a conference centre. On 27 March 2008, it played host to a summit between British Prime Minister Gordon Brown and French President Nicolas Sarkozy, in part because the stadium was regarded as "a shining example of Anglo–French co-operation". The stadium has been used as a location for the audition stage of reality shows The X Factor, Britain's Got Talent and Big Brother. In 2016, the Emirates was a venue for Celebrity Masterchef, where contestants prepare meals for club staff members. Aside from sporting uses, the Emirates has been used as a music venue which increases the maximum capacity to 72,000. Bruce Springsteen and the E Street Band became the first band to play a concert at the stadium on 30 May 2008. They played a second gig the following night. British band Coldplay played three concerts at the Emirates in the June 2012, having sold out the first two dates within 30 minutes of going on sale. They were the first band to sell out the stadium for music purposes. Green Day set a gig attendance record when performing at the Emirates in June 2013. The stadium has also been used for a number of international friendly matches all of which have featured the Brazil national football team. The first match was against Argentina on 3 September 2006 which ended in a 3–0 victory for Brazil. It is difficult to get accurate attendance figures as Arsenal do not release these, but choose to use tickets sold. The average attendance for competitive first-team fixtures in the stadium's first season, 2006–07, was 59,837, with a Premier League average attendance of 60,045. By the 2016–17 season, the reported average home league attendance was 59,957. The attendances that Arsenal reported to the Metropolitan Police for the 2015–16 season show an average home match attendance of 54,918, ranging from a high of 60,007 against Aston Villa to a low of 44,878 against West Bromwich Albion. The highest attendance for an Arsenal match at the Emirates Stadium as of June 2017 is 60,161, for a Premier League match against Manchester United on 3 November 2007. The lowest attendance at the ground is believed to be 25,909 for a match against FC BATE Borisov in the UEFA Europa League on 7 December 2017, however the official attendance for the game is recorded as 54,648. The first player to score at the Emirates in a competitive fixture was Aston Villa defender Olof Mellberg after 53 minutes. In the same match Gilberto Silva scored Arsenal's first competitive goal at the ground. Jay Simpson was the first Arsenal player to score a hat trick at the Emirates Stadium against Cardiff City in February 2007, while Emmanuel Adebayor recorded Arsenal's 100th goal at the ground in January 2008 against Newcastle United. Arsenal's biggest margin of victory at the Emirates Stadium was by seven goals, achieved with a 7–0 win over Slavia Prague in the group stages of the UEFA Champions League on 23 October 2007. Their biggest margin of defeat at the ground was by four goals, when they were beaten 5–1 by Bayern Munich in the Champions League round of 16, second leg on 7 March 2017. Robin van Persie has scored the most goals at the Emirates Stadium with 64. 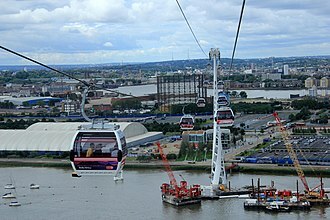 The Emirates Stadium is served by a number of London Underground stations and bus routes. Arsenal station is the closest for the northern portion of the stadium accessed via the Ken Friar bridge, with Highbury & Islington station servicing the southern end. While Holloway Road station is the closest to the southern portion, it is entry-only before matches and exit-only afterwards to prevent overcrowding. Drayton Park station, adjacent to the Danny fiszman Bridge is shut on matchdays as the rail services to this station do not operate at weekends nor after 10 pm. £7.6 million was set aside in the planning permission for upgrading Drayton Park and Holloway Road; however Transport for London decided not to upgrade either station, in favour of improvement works at the interchanges at Highbury & Islington and Finsbury Park stations, both of which are served by Underground and National Rail services and are approximately a ten-minute walk away. The Emirates Stadium is the only football stadium that stands beside the East Coast Main Line between London and Edinburgh and is just over 2 miles from London King's Cross. Driving to the Emirates Stadium is strongly discouraged as there are strict matchday parking restrictions in operation around the stadium. An hour before kick-off to one hour after the final whistle there is a complete ban on vehicle movement on a number of the surrounding roads, except for Islington residents and businesses with a road closure access permit. The parking restrictions mean that the stadium is highly dependent on the Underground service, particularly when there is no overground service in operation. Industrial action forced Arsenal to reschedule the match for the following month. The stadium opens to ticket holders two hours before kick-off. The main club shop, named 'The Armoury', and ticket offices are located near the West Stand, with other an additional store at the base of the North Bank Bridge, named 'All Arsenal' and the 'Arsenal Store' next to Finsbury Park station. Arsenal operates an electronic ticketing system where members of 'The Arsenal' (the club's fan membership scheme) use their membership cards to enter the stadium, thus removing the need for turnstile operators. Non-members are issued with one-off paper tickets embedded with an RFID tag allowing them to enter the stadium. Andrews, David L.; Cole, Cheryl L.; Silk, Michael L. (2005). Sport and corporate nationalisms. London: Berg. ISBN 1-85973-799-4. Bernstein, George L (2004). The Myth of Decline: The Rise of Britain Since 1945. London: Pimlico. ISBN 1-84413-102-5. Brown, Adam (1998). Fanatics! : power, identity, and fandom in football. London: Routledge. ISBN 0-415-18103-8. Conn, David (2005). The Beautiful Game? : Searching for the Soul of Football. London: Random House. ISBN 1-4464-2042-6. Glinert, Ed (2009). The London Football Companion: A Site-by-site Celebration of the Capital's Favourite Sport. London: Bloomsbury. ISBN 0-7475-9516-X. Spurling, Jon (2010). Highbury: The Story of Arsenal In, Issue 5. London: Hachette. ISBN 1-4091-0579-2. ^ "Get to Emirates Stadium". www.arsenal.com. Arsenal F.C. 1 June 2017. Retrieved 7 March 2018. ^ "Premier League Handbook 2018–19" (PDF). Premier League. 11 August 2018. Retrieved 4 November 2018. ^ a b "Appearances and attendances". Arsenal F.C. 1 June 2017. Retrieved 8 November 2017. ^ a b "Stadium FAQs". Arsenal F.C. 24 July 2008. Archived from the original on 1 July 2016. Retrieved 1 July 2016. ^ "Emirates Stadium". Populous. Retrieved 19 February 2012. ^ Media Group, Arsenal (24 September 2009). "Arsenal celebrates Highbury Square opening". www.arsenal.com. The Arsenal Football Club plc. Archived from the original on 7 July 2016. Retrieved 7 July 2016. ^ "Hillsborough: How Taylor ensured there would never be a repeat". Yorkshire Post. Leeds. 13 April 2009. Retrieved 17 February 2012. ^ Woodhouse, John; Dent, Jack (9 June 2017). "Standing at football matches" (PDF). Parliament of the United Kingdom. Retrieved 18 October 2017. ^ a b Brown, p. 54. ^ Prynn, Jonathan (11 May 1991). "Bonds issue will fund Arsenal's £20m upgrading". The Times. London. p. 40. ^ Murray, Callum (11 August 1993). "A grand stand for football". The Independent. London. Retrieved 17 February 2012. ^ a b Glinert, p. 105. ^ Garner, Clare (18 August 1997). "Arsenal consider leaving hallowed marble halls". The Independent. London. Retrieved 4 March 2012. ^ Jury, Louise (18 July 1997). "Arsenal's marble halls are saved for posterity". The Independent. London. Retrieved 18 February 2012. ^ a b c d e Conn, p. 67. ^ "Gunners aim for the twin towers". BBC News. 19 January 1998. Retrieved 18 February 2012. ^ a b "Arsenal offer to buy Wembley". BBC News. 12 March 1998. Retrieved 18 February 2012. 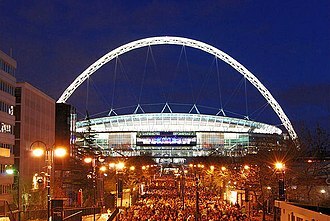 ^ "Wembley Stadium sold to highest bidder". BBC News. 2 April 1998. Retrieved 18 October 2017. 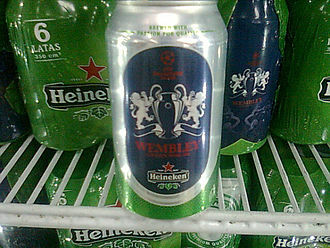 ^ "Arsenal get Wembley go-ahead". BBC News. 24 July 1998. Retrieved 18 October 2017. ^ Kempson, Russell (25 November 1999). "Arsenal home on new test". The Times. p. 62. ^ "Gunners cash in at the gate". The Independent. London. 22 October 1998. Retrieved 18 October 2017. ^ a b Campbell, Denis; Mathiason, Nick (12 November 2000). "Rocky road to new Wembley". The Observer. London. Retrieved 19 February 2012. ^ a b Spurling, p. 86. ^ a b "Winners and losers in £400m plan". London Evening Standard. 11 December 2001. Archived from the original on 5 May 2013. Retrieved 19 February 2012. ^ Bond, David (7 November 2000). "Residents' opposition group call for public inquiry". London Evening Standard. p. 91. ^ a b Conn, p. 68. ^ Wallace, Sam (4 October 2001). "Pressure group threaten public inquiry into Arsenal proposals for new stadium". The Daily Telegraph. London. Retrieved 21 February 2012. ^ "Mayor backs Arsenal plan". BBC Sport. 12 October 2001. Retrieved 8 August 2014. ^ Smith, Alan (4 December 2001). "Highbury provides a fitting backdrop". The Daily Telegraph. London. Retrieved 21 February 2012. ^ Clarke, Richard (6 December 2001). "Islington battle for Arsenal". The Daily Telegraph. London. Retrieved 21 February 2012. ^ Lawrence, Amy (6 December 2001). "Arsenal united as United regroup". The Observer. London. Retrieved 21 February 2012. ^ a b Hayward, Paul (11 December 2001). "Ambitious Arsenal home in on dream". The Daily Telegraph. London. Retrieved 21 February 2012. ^ Nixon, Alan (10 January 2002). "Livingstone approves Arsenal stadium". The Independent. London. Retrieved 27 December 2016. ^ "Arsenal's stadium boost". London: BBC Sport. 20 February 2002. Retrieved 27 December 2016. ^ "Legal challenge to new Arsenal stadium". London Evening Standard. 15 December 2004. Retrieved 19 October 2017. ^ "Arsenal get stadium green light". London Evening Standard. 31 July 2002. Retrieved 19 October 2017. ^ "Arsenal given Ashburton Grove all clear". The Guardian. London. 31 July 2002. Retrieved 21 February 2012. ^ "Firms lose Arsenal stadium fight". BBC News. 18 January 2005. Retrieved 21 February 2012. ^ "Residents lose fight to keep streets open". Islington Gazette. 5 July 2006. Archived from the original on 10 December 2006. Retrieved 21 February 2012. ^ Ames, Nick (12 February 2016). "Arsène Wenger advises Arsenal and Leicester fans to drop boycott". The Guardian. London. Retrieved 19 October 2017. ^ a b Benge, James (26 May 2017). "Arsene Wenger: Arsenal's move to the Emirates Stadium was the most difficult period in my life". London Evening Standard. Retrieved 19 October 2017. At the time it was £4,000 a seat. You multiply that by 60,000 it’s £240million. Plus we had to buy the soil, all the businesses we had to buy out. It went to over £420m. ^ "Nic: I made the Gunners". The Sun. 10 September 2002. Retrieved 24 February 2012. ^ a b c Teather, David (8 September 2000). "Media kick-off Granada grabs stake in the Gunners". The Guardian. London. Retrieved 24 February 2012. ^ a b c d Conn, p. 69. ^ Bond, David (4 April 2002). "£30m wait for Arsenal". London Evening Standard. Archived from the original on 12 September 2012. Retrieved 24 February 2012. ^ "Arsenal to cut wages after £22m loss". The Guardian. London. 3 September 2002. Retrieved 24 February 2012. ^ Hart, Simon (19 January 2003). "North London united". The Daily Telegraph. Retrieved 24 February 2012. ^ "Gunners new stadium delayed". The Guardian. London. 16 April 2003. Retrieved 24 February 2012. ^ "Cost of Gunners' stadium shoots up". The Guardian. London. 22 October 2002. Retrieved 24 February 2012. ^ Bose, Mihir (6 May 2003). "Arsenal ask fans to dig deep". The Daily Telegraph. Retrieved 24 February 2012. ^ Simons, Raoul (7 May 2003). "Arsenal fans give bond plan cold reception". London Evening Standard. p. 70. ^ "Arsenal sign new kit deal". BBC Sport. 8 August 2003. Retrieved 24 February 2012. ^ Bose, Mihir (14 August 2003). "Arsenal shirt deal falls short of new ground costs". The Daily Telegraph. London. Retrieved 24 February 2012. ^ "Arsenal confirms funding for Stadium project". Arsenal F.C. 23 February 2004. Archived from the original on 17 February 2012. Retrieved 24 February 2012. ^ "Arsenal name new ground". BBC Sport. 5 October 2004. Retrieved 8 December 2006. ^ Brian Dawes (26 May 2006). "The 'E' Word". Arsenal World. Archived from the original on 8 October 2006. Retrieved 8 December 2006. ^ Matthew Spiro (26 September 2006). "New home, old mentality at Arsenal". UEFA. Retrieved 8 December 2006. ^ "Emirates and Arsenal agree new £150m deal". Arsenal F.C. 23 November 2012. Archived from the original on 26 November 2012. Retrieved 24 November 2012. ^ "Key Facts". Arsenal F.C. Retrieved 25 February 2012. ^ "Emirates Stadium". ARCADIS. Archived from the original on 12 December 2010. Retrieved 3 March 2012. ^ "Arsenal Emirates Stadium". Buro Happold. Archived from the original on 30 March 2012. Retrieved 3 March 2012. ^ a b c "Stadium Timetable". Arsenal F.C. Archived from the original on 28 April 2012. Retrieved 25 February 2012. ^ "Diaby grabs a seat for success". Arsenal F.C. 13 March 2006. Archived from the original on 27 July 2012. Retrieved 25 February 2012. ^ "DD GrassMaster Selected for Arsenal's New Emirates Stadium". London. PR Newswire. 18 April 2006. Retrieved 25 February 2012. ^ "Light Fantastic – floodlights tested". Arsenal F.C. 28 June 2006. Archived from the original on 11 May 2013. Retrieved 25 February 2012. 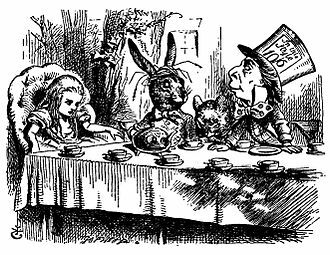 ^ "Shareholders lunch 'ramp-up' event a success". Arsenal F.C. 19 July 2006. Archived from the original on 11 May 2013. Retrieved 25 February 2012. ^ "Players train at Emirates Stadium". Arsenal F.C. 20 July 2006. Archived from the original on 11 May 2013. Retrieved 25 February 2012. ^ "Bergkamp Testimonial: Arsenal 2–1 Ajax – Report". Arsenal F.C. 22 July 2006. Archived from the original on 7 January 2012. Retrieved 25 February 2012. ^ "Duke of Edinburgh opens Emirates Stadium". Arsenal F.C. 1 November 2006. Archived from the original on 13 October 2012. Retrieved 25 February 2012. ^ Davies, Caroline (27 October 2006). "Workload forced Queen to endure pain for two weeks". The Daily Telegraph. London. Retrieved 21 January 2011. ^ "Queen to officially open Emirates Stadium". Arsenal F.C. 14 September 2006. Archived from the original on 13 October 2012. Retrieved 25 February 2012. ^ "Arsenal meet The Queen at Buckingham Palace". Arsenal F.C. 16 February 2007. Archived from the original on 13 October 2012. Retrieved 29 February 2012. ^ "Arsenal secure stadium cash". BBC Sport. 23 February 2004. Retrieved 24 February 2012. ^ Bose, Mihir (20 January 2005). "Arsenal £260m bond plan". The Daily Telegraph. London. Retrieved 24 February 2012. ^ "Arsenal sell £260 million bond to help finance stadium". ESPN Soccernet. 13 July 2006. Retrieved 8 December 2006. ^ "Statement of Accounts and Annual Report 2006/2007" (PDF). Arsenal Holdings plc. 2007. Archived from the original (PDF) on 8 January 2012. Retrieved 19 December 2007. ^ Gibson, Owen (24 September 2010). "Arsenal announce record pre-tax profits of £56m". The Guardian. London. Retrieved 25 February 2012. ^ Fynn, Alex; Whitcher, Kevin (31 August 2008). "Young guns". The Observer. London. Retrieved 19 October 2017. ^ Fifield, Dominic (29 April 2016). "Arsène Wenger: Arsenal playing in a 'very difficult climate' at Emirates". The Guardian. London. Retrieved 19 October 2017. ^ "Wenger: My loyalty helped build Emirates". FourFourTwo. 30 April 2016. Retrieved 19 October 2017. ^ "Supporters Forum – 26 April 2009". Arsenal F.C. 26 April 2009. Archived from the original on 7 January 2012. Retrieved 29 February 2012. ^ a b c "Club begins 'Arsenalisation' of the Emirates". Arsenal F.C. 24 August 2009. Archived from the original on 3 June 2012. Retrieved 2 November 2011. ^ "Arsenalisation Special – Spirit of Highbury". Arsenal F.C. 31 October 2009. Archived from the original on 28 April 2012. Retrieved 2 November 2011. ^ "Two more Stadium Illustrations are unveiled". Arsenal F.C. 24 August 2009. Archived from the original on 14 October 2012. Retrieved 2 November 2011. ^ "Emirates Stadium stands to be re-named". Arsenal F.C. 19 July 2010. Retrieved 2 November 2011. ^ "Clock to be placed in south end of stadium". Arsenal F.C. Retrieved 29 February 2012. ^ "Bridges named in tribute to Friar and Fiszman". Arsenal F.C. 19 April 2011. Archived from the original on 6 October 2011. Retrieved 29 February 2012. ^ "Arsenal unveil statues of three legends". Arsenal F.C. 9 December 2011. Archived from the original on 12 February 2012. Retrieved 29 February 2012. ^ "Club unveils statue of Dennis Bergkamp". Arsenal F.C. 22 February 2014. Retrieved 24 February 2014. ^ James, Stuart (15 December 2004). "Fans won't be priced out of Emirates Stadium". London Evening Standard. Retrieved 11 March 2013. ^ a b c d e f g h "Emirates Stadium". Design Build Network. Archived from the original on 1 February 2010. Retrieved 10 March 2012. ^ Based on a quote by chief executive Keith Edelman in Management Today, quoted in: "Reasons to be cheerful". Arsenal News Review. 6 August 2004. Retrieved 8 December 2006. ^ a b "Emirates Stadium Facts" (PDF). Arsenal F.C. October 2009. Archived from the original (PDF) on 13 October 2012. Retrieved 20 October 2017. ^ "Sony helps Arsenal to entertain football fans". Sony. Retrieved 10 March 2012. ^ Jackson, Jamie (4 January 2009). "Van Persie settles nerves but Arsenal fail to convince". The Observer. London. Retrieved 10 January 2011. ^ "Commemorative busts unveiled – Pictures". Arsenal F.C. 18 October 2007. Archived from the original on 12 October 2012. Retrieved 10 January 2011. ^ "The Arsenal Museum". Arsenal F.C. Retrieved 10 January 2011. ^ "Season Ticket Waiting List". Arsenal F.C. Retrieved 15 January 2013. ^ Gibson, Owen (30 November 2013). "Arsenal fans call for safe standing to boost atmosphere at Emirates". The Guardian. Retrieved 29 July 2014. ^ "World Class Conference and Banqueting". Arsenal F.C. 4 August 2007. Archived from the original on 5 February 2012. Retrieved 27 February 2012. ^ "Brown seeks 'Entente Formidable'". BBC News. 27 March 2008. Retrieved 29 February 2012. ^ Walsh, Ben (16 October 2015). "Ben Haenow interview: 'I'd see X Factor contestants crying on TV and thought I was never one of those people'". The Independent. London. Retrieved 20 October 2017. ^ Taylor, Frances (8 October 2013). "'Britain's Got Talent' 2014 open audition dates revealed". Digital Spy. Retrieved 20 October 2017. ^ Raeside, Julia (8 September 2011). "Reality check: what kind of person still wants to be in Big Brother?". theguardian.com. Retrieved 20 October 2017. ^ Harp, Justin (24 June 2016). "Celebrity MasterChef: Donna Air and Marcus Butler get the chop in latest episode". Digital Spy. Retrieved 20 October 2017. ^ Rainbow, Jamie (20 October 2017). "Stadium guide: Emirates Stadium, Arsenal". World Soccer. Retrieved 5 November 2016. ^ a b Bonner, Michael (20 October 2017). "Bruce Springsteen & The E Street Band – Emirates Stadium, London, May 30, 2008". Uncut. Retrieved 31 May 2008. ^ Levine, Nick (20 October 2017). "Green Day set new gig attendance record at London's Emirates Stadium". NME. Retrieved 5 June 2013. ^ a b Sinnott, John (3 September 2006). "Brazil 3–0 Argentina". BBC Sport. Retrieved 6 March 2012. ^ "Arsenal to host Brazil v Portugal". BBC Sport. 5 January 2007. Retrieved 6 March 2012. ^ "International football as it happened". BBC Sport. 26 March 2008. Retrieved 6 March 2012. ^ "Brazil v Italy photos". BBC Sport. 10 February 2009. Retrieved 9 March 2012. ^ "Republic of Ireland 0–2 Brazil". BBC Sport. 2 March 2010. Retrieved 9 March 2012. ^ "Scotland 0–2 Brazil". BBC Sport. 27 March 2011. Retrieved 9 March 2012. ^ "Brazil v Chile". Arsenal F.C. 30 January 2015. Retrieved 3 February 2015. ^ "Brazil v. Uruguay – 16 November 2018 – Soccerway". Soccerway. 16 November 2018. Retrieved 17 November 2018. ^ Solhekol, Kaveh (15 August 2014). "Request reveals 170,000 Arsenal fans did not show up at Emirates Stadium last season". A is for Arsenal. Retrieved 10 May 2015. ^ "Nearly two million through the Emirates gates". Arsenal F.C. Archived from the original on 14 October 2012. Retrieved 24 May 2007. ^ Johnson, Neil (7 August 2017). "Premier League is 25 years old: Facts and figures behind the first quarter-century". BBC Sport. Retrieved 8 November 2017. ^ "Attendance for each home fixture at the Emirates stadium for the whole of 2015/2016". London: Metropolitan Police. 1 June 2016. Retrieved 31 March 2018. ^ "Man Utd game attracts record attendance". Arsenal F.C. 5 November 2007. Retrieved 24 December 2007. ^ "Arsenal 6–0 BATE". UEFA. London. 7 December 2017. Retrieved 19 December 2017. ^ "Arsenal claim attendance vs BATE Borisov was 54,648". The Independent. Retrieved 24 July 2018. ^ a b Austin, Simon (19 August 2006). "Arsenal 1–1 Aston Villa". BBC Sport. Retrieved 8 November 2017. ^ "Simpson revels in Arsenal victory". BBC Sport. 12 November 2008. Retrieved 8 November 2017. ^ "Benayoun spares Liverpool's blushes". The Irish Times. Dublin. 26 January 2008. Retrieved 8 November 2017. ^ a b c "Scorelines". Arsenal F.C. 1 June 2017. Retrieved 8 November 2017. ^ a b "Get to... Emirates Stadium". Arsenal F.C. Retrieved 23 February 2012. ^ "Drayton Park (DYP)". National Rail. Retrieved 23 February 2012. 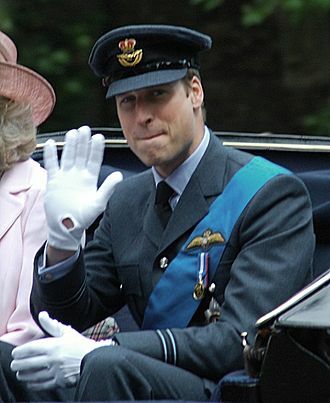 ^ Conn, David (3 May 2006). "Shadow of Arsenal's grand design hangs over the little people". The Guardian. London. Retrieved 26 March 2010. ^ "Road Closures and Traffic". Islington Council. 23 December 2009. Archived from the original on 16 December 2010. Retrieved 12 May 2013. ^ a b "Arsenal put Wolves match back 24 hours". BBC Sport. 22 December 2011. Retrieved 19 December 2012. ^ "Stadium: General Queries". Arsenal F.C. Retrieved 23 February 2012. ^ "The Arsenal Store Finsbury Park – SALE". Arsenal F.C. 4 February 2009. Archived from the original on 7 December 2011. Retrieved 10 January 2011. Herbert Chapman was an English association football player and manager. Though he had a playing career, he went on to become one of the most successful and influential managers in early 20th-century English football. As a player, Chapman played for a variety of clubs and his record was generally unremarkable as a player, he made fewer than 40 League appearances over the course of a decade and did not win any major honours. Instead, he found success as a manager, first at Northampton Town between 1908 and 1912, whom he led to a Southern League title. This attracted the attention of clubs and he moved to Leeds City. After the war ended, City were implicated in an illegal payments scandal and were eventually disbanded, Chapman was initially banned from football but successfully appealed. He took over at Huddersfield Town, winning an FA Cup, in 1925, Arsenal successfully tempted Chapman to join them, and he led the club to its first FA Cup success and two First Division titles. Not only credited with turning round the fortunes of both Huddersfield Town and Arsenal, he is regarded as one of the games first modernisers, Chapman was born in Kiveton Park, near Rotherham. Chapman was one of children and born into a keen sporting family. The most successful of these was his brother, Harry. His older brother Tom played for Grimsby Town, while another brother, Matthew and he first played as a youth for his local side, Kiveton Park Colliery, before leaving home in 1895. He moved to Ashton-under-Lyne and played as an amateur for Ashton North End, before moving on to Stalybridge Rovers, Chapman played at inside right, and although he lacked the skill of his brother Harry, he compensated for it with his strength and robustness. In 1898, he joined his brother Tom at Second Division Grimsby Town, though now playing in the professional Football League, Chapman was still an amateur at this stage and obtained a job with a firm of local solicitors to earn his way. By this time Chapman had been dropped from the team, having been moved to centre forward. He moved on to see out the season with Sheppey United, Chapman finished as Uniteds top scorer but was injured at the end of this season, and still unable to find a job. Islington London Borough Council is the local authority for the London Borough of Islington in Greater London, England. The council was created by the London Government Act 1963 and replaced two local authorities, Finsbury Metropolitan Borough Council and Islington Metropolitan Borough Council and it is a London borough council, one of 32 in the United Kingdom capital of London. Islington is divided into 16 wards, each electing three councillors, following the May 2014 election, Islington Council comprises 47 Labour Party councillors and 1 Green Party councillor. Of these 48 councillors, the Leader of the Council is Councillor Richard Watts, there have previously been a number of local authorities responsible for the Islington area. The current local authority was first elected in 1964, a year before coming into its powers. The present Islington Borough Council replaced Finsbury Metropolitan Borough Council and Islington Metropolitan Borough Council, both were created in 1900, in Islington the borough council replaced the parish vestry. Sainsburys is the second largest chain of supermarkets in the United Kingdom, with a 16. 9% share of the supermarket sector in the United Kingdom. The holding company, J Sainsbury plc, is split into three divisions, Sainsburys Supermarkets Ltd, Sainsburys Bank and Sainsburys Argos, the groups head office is in the Sainsburys Store Support Centre in Holborn Circus, City of London. The group has interests in property, the largest overall shareholder is the sovereign wealth fund of Qatar, the Qatar Investment Authority, who hold 25. 999% of the company. It is listed on the London Stock Exchange and is a constituent of the FTSE100 Index, Sainsburys was established as a partnership in 1869, when John James Sainsbury and his wife Mary Ann opened a store at 173 Drury Lane in Holborn, London. Sainsbury started as a retailer of fresh foods and expanded into packaged groceries such as tea and his trading philosophy, as stated on a sign outside his first shop in Islington, Quality perfect, prices lower. Sainsburys was very innovative in that its stores, instead of featuring five own-brand lines as arch-rival Home and Colonial did, instead of sawdust floors and wooden counters, Sainsburys boasted marble counters, mosaic floors, and white-tiled walls. Staff even had a uniform of white aprons, Stores started to look similar, so people could recognise them throughout London, a high cast-iron J. In 1922, J Sainsbury was incorporated as a company, as J. Sainsbury Limited. By this time each store had the departments, dairy and hams, poultry and game, cooked meats. Groceries were introduced in 1903, when John James purchased a branch at 12 Kingsland High Street. Home delivery featured in every store, as there were fewer cars in those days, sites were carefully chosen, with a central position in a parade selected in preference to a corner shop. This allowed a larger display of products, which could be kept cooler in summer, by the time John James Sainsbury died in 1928, there were over 128 shops. His last words were said to be, Keep the shops well lit and he was replaced by his eldest son, John Benjamin Sainsbury, who had gone into partnership with his father in 1915. Old Trafford is a football stadium in Old Trafford, Greater Manchester and the home of Manchester United. 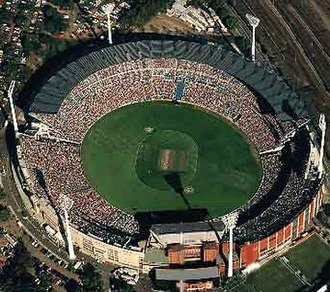 It is about 0.5 miles from Old Trafford Cricket Ground, future expansion is likely to involve the addition of a second tier to the South Stand, which would raise the capacity to around 95,000. The stadiums record attendance was recorded in 1939, when 76,962 spectators watched the FA Cup semi-final between Wolverhampton Wanderers and Grimsby Town and it hosted football matches at the 2012 Summer Olympics, including womens international football for the first time in its history. Before 1902, Manchester United were known as Newton Heath, during time they first played their football matches at North Road. However, both grounds were blighted by wretched conditions, the pitches ranging from gravel to marsh, while Bank Street suffered from clouds of fumes from its neighbouring factories. Including the purchase of the land, the construction of the stadium was originally to have cost £60,000 all told. The subsidy would have come to the sum of £10,000, despite guarantees for the loan coming from the club itself and two local breweries, both chaired by club chairman John Henry Davies, the Cheshire Lines Committee turned the proposal down. The CLC had planned to build a new station adjacent to the new stadium, the station – Trafford Park – was eventually built, but further down the line than originally planned. The CLC constructed a modest station with one timber-built platform immediately adjacent to the stadium and it was initially named United Football Ground, but was renamed Old Trafford Football Ground in early 1936. It was served on match days only by a service of steam trains from Manchester Central railway station. It is currently known as Manchester United Football Ground, construction was carried out by Messrs Brameld and Smith of Manchester and development was completed in late 1909. The stadium hosted its game on 19 February 1910, with United playing host to Liverpool. However, the side were unable to provide their fans with a win to mark the occasion. Emirates is an airline based in Dubai, United Arab Emirates. The airline is a subsidiary of The Emirates Group, which is owned by the government of Dubais Investment Corporation of Dubai. It is the largest airline in the Middle East, operating over 3,600 flights per week from its hub at Dubai International Airport, Cargo activities are undertaken by Emirates SkyCargo. 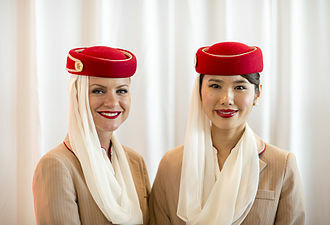 Emirates had the longest non-stop commercial flight from Dubai to Auckland until it was surpassed by Qatar Airways, during the mid-1980s, Gulf Air began to cut back its services to Dubai. 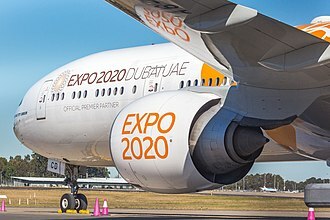 As a result, Emirates was conceived in March 1985 with backing from Dubais royal family, with $10 million in start-up capital it was required to operate independently of government subsidy. Pakistan International Airlines provided training facilities to Emirates cabin crew in its academy, the airline was headed by Ahmed bin Saeed Al Maktoum, the airlines present chairman. In the years following its founding, the airline expanded both its fleet and its destinations, in October 2008, Emirates moved all operations at Dubai International Airport to Terminal 3. Emirates operates a fleet of Airbus and Boeing wide-body aircraft and is one of the few airlines to operate an all-wide-body aircraft fleet. As of September 2016, Emirates is the largest Airbus A380 operator with 83 planes in service, since their induction, Airbus A380 planes have become an integral part of Emirates fleet, especially on long-haul heavily trafficked routes. As a result, Emirates was conceived in March 1985 with backing from Dubais royal family, the Royal Familys Dubai Royal Air Wing provided the airline with two used Boeing 727–200 Adv. The airlines first flight, flight EK600, was Dubai–Karachi on 25 October 1985, maurice Flanagan, who previously worked at British Airways, Gulf Air, and BOAC and at the time was overseeing Dnata, was appointed chief executive officer of the new airline. To acknowledge his services for aviation, in 2000, Flanagan was made CBE in the Queens Birthday Honour List and he would be joined at the airline by Sheikh Ahmed bin Saeed Al Maktoum and now-Emirates president Tim Clark. Tiling on the platform indicates the station's previous guise as "Gillespie Road". Passageway linking the tunnels to the ticket office, looking towards the latter. Note tidal flow segregation, in operation on football match days (fans using the wider section). Northern section of the new stadium (left) under construction in May 2017, West Stand of White Hart Lane (right) partially demolished. The new ground covers part of the old ground. Ballon d'Or winner George Weah played under Wenger at Monaco, where he won the Coupe de France. 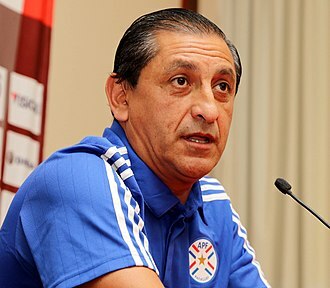 Argentine striker Ramón Díaz came to Monaco under Wenger in 1989. Dragan Stojković flourished under Wenger's guidance at Nagoya Grampus. Hooliganism incidents in the 1970s led to fences being built at football grounds, such as this at Kenilworth Road, Luton (1980 image). This picture shows the West Yorkshire Police control station's camera system at Elland Road, which they use to spot hooligans and rioters. Hibernian Supporters (1984 image) show their flag at Edinburgh Waverley railway station. J Sainsbury HQ in Holborn photographed in 2005, the surrounding area has since changed dramatically. Hawarden Bridge station with typical station track in 1999.